THE automobiles you see pictured here will never be built. They are dream cars from the Advanced Styling Studio of the Ford Motor Co. The studio’s artists drew them as a free exercise in imagination. never-never dreamboat designs every year. 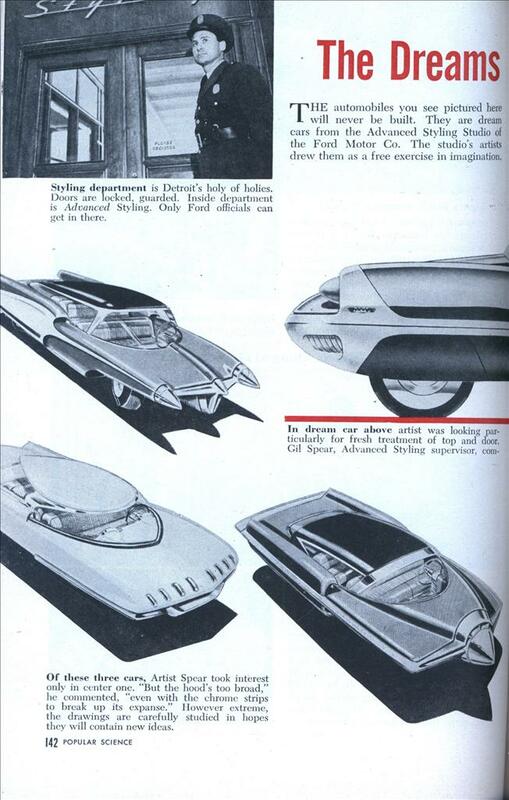 While these cars will never reach a production line, an idea for a fender curve, radiator grille, or top may be borrowed for a production car in 1955 or 1960. These cars look great for any time period. I have been seeing concept cars for 40 years that have never made it to market. Too bad they didn’t try producing one and seeing how it would sell. The big side-view car is my favorite; something about the proportions say “small car” to me. If they built it as a full four-seater 2-door hardtop with the British Ford Consul 1.5L four, it would’ve blown the Nash Metropolitan out of the water. But please, with exposed front wheels! Too bad Ford doesn’t revisit some of their own past designs, maybe they could make something other than boring rental cars and get out of the sales cellar. And I’m not anti-Ford, I’ve got 4 of them, just aggravated at their lack of imagination. 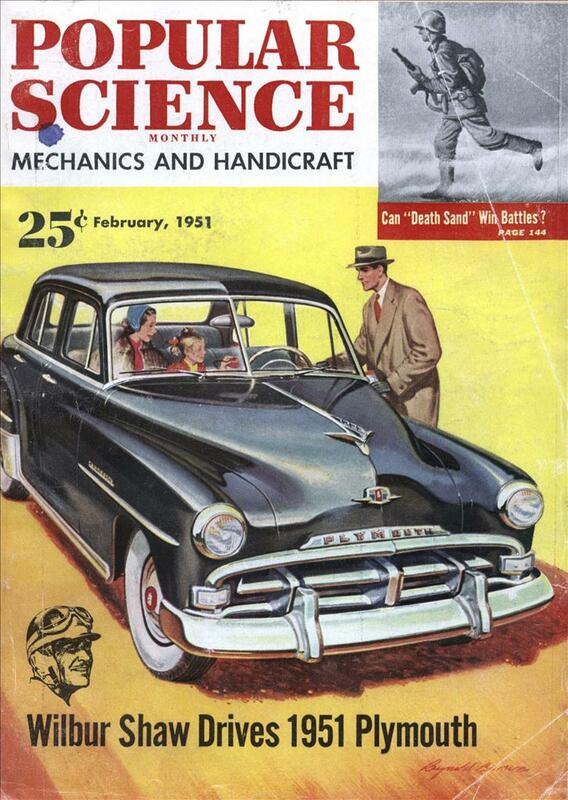 So that is where they got their idea for the Edsel?